“Retailers, independent grocers and restaurants want the highest quality of fresh produce. Costa Farms and Logistics delivers, every time. Costa Farms help other growers to market their products through some of Australia’s biggest wholesale markets”. 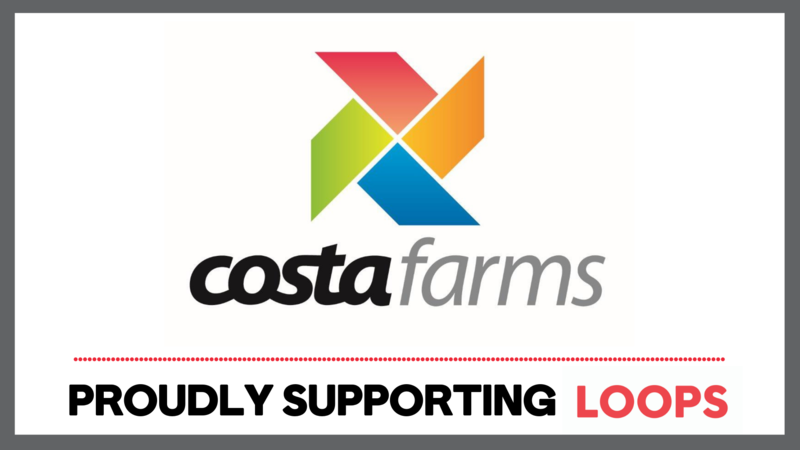 LOOPS TT are very thankful to the support of COSTA Farms and Damien Taranto for his ongoing support.